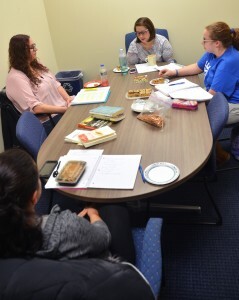 This semester, for example, Marchetti has started a creative writing workshop — the first associated with NOLOS — that attracts a half-dozen or so budding authors to its monthly sessions. Sandra Marchetti, advisor to AU’s student-run literary journal, oversees one of the monthly creative writing workshops she organizes. 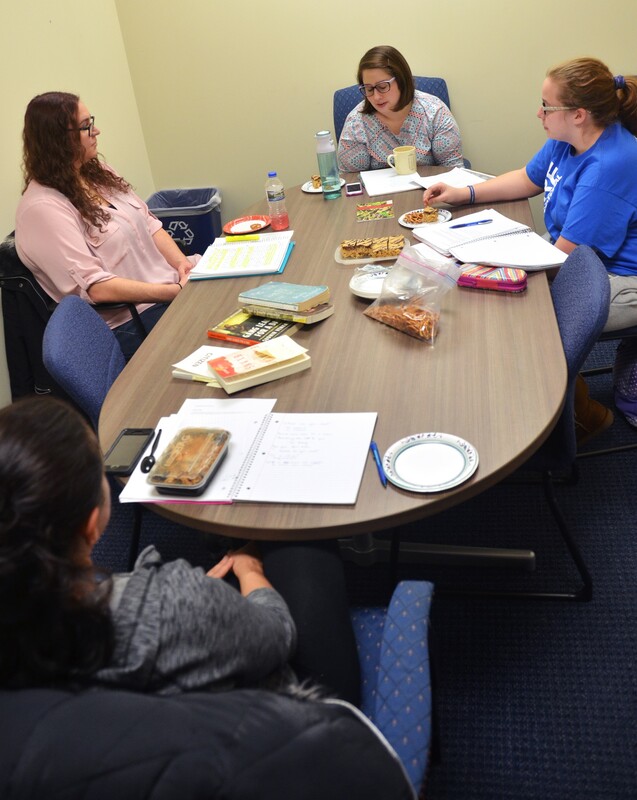 The workshops provide writers the opportunity to share their work with and receive feedback from their peers, Marchetti said. Along the way participants can learn about the publishing process, how to land writing-related internships and much more. 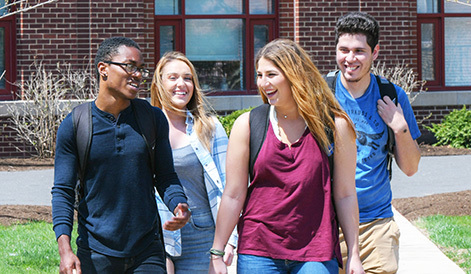 While attendees include some NOLOS staff members, others come from traditionally “nonliterary” majors such as business or the sciences who might not have space in their academic schedule for the formal creative writing classes that the university offers. According to Marchetti, NOLOS this semester has 10 core editorial staff members and another 20 student volunteers who read and evaluate submissions. Pam Wicks, assistant professor of communication, oversees design and layout of the publication. New this year too is the addition of an art editor and an emphasis on featuring visual art in the magazine. Students even curated a NOLOS art exhibit in Phillips Library as a run-up to last semester’s publishing date. For more information about NOLOS, contact Marchetti at smarchet@aurora.edu.